Now I wonder if the makers of this movie chose it's name after hearing the Lionel Ritchie classic, 'Three Times a Lady'? Well, it is possible! Don't you agree? 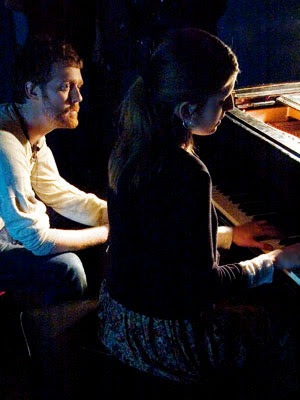 But to make absolutely certain, I think it best that we first ask the Director: John Carney; and the Actors: Glen Hansard and Markéta Irglová. Especially for 85 minutes in 2006. 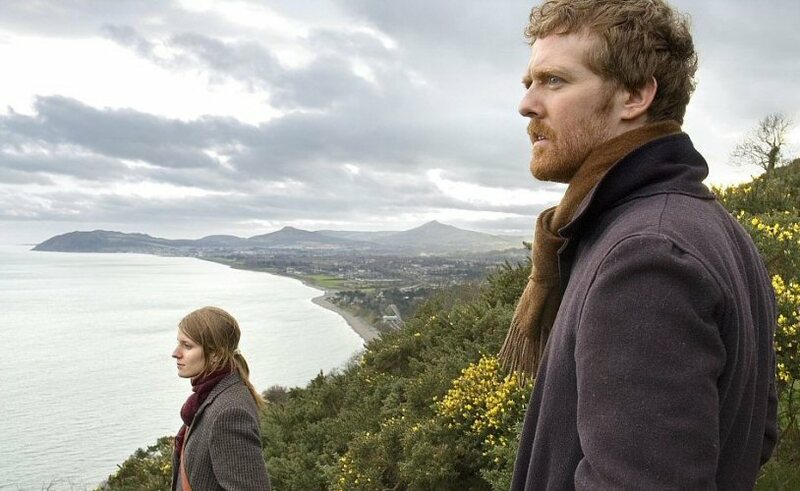 To the outside world the Irish man (Glen Hansard) and the Czechoslovakian girl (Markéta Irglová) may appear like two lost souls, meandering in and out of a busy high street located somewhere in old Dublin town. But they're not you know. Nah! Far from it. When these two people first bump into each other, they immediately share a common bond. A musical bond. And over the course of the following few days, they play, listen, and create, some really beautiful and personal melodies wherever life may take them. Hey! Don't get ahead of yourself, pal. There isn't any funny business going on. Even though the Paddy might like to cash this Czech, she has an elderly Mother and a young kid to tend to. Furthermore, she has an estranged husband somewhere back home in Czech-land as well. Still, this fact does not stop them from doing what they are currently doing -- forming a union of sorts -- which builds and builds and builds like a melodious crescendo of music and lyrics, which ultimately results in them both forming a band of their own. Then again, that's most probably why what next transpires all plays a bum note in the love department. As songs are sung - studios are won - harmonies are twirled - and at the end of the day two lost souls finally find their place in this big bad world. Over the last year or so I've been carrying out a series of interviews with the intention of showcasing independent movies and comic books to whoever wants to see them. Granted, some people have wondered why I have instigated this thankless task. Surmising that these types of productions don't deserve a place on a site that is entertainment driven and full of fun and mirth (kind of). However, I find that by in large independent people are much more adventurous and creative than the norm. They don't adhere to formulas, edicts, or business minded acumen. What they do instead is freely express themselves in a way that is personal, earthy, and very charming to behold. And do you know what? 'Once' is just such a production. Here. Let me tell you why. (1) Now my own musical tastes are more 'Rock' inspired and 'old school' in tone, plus I've never been the type of a chap that has really gone for Irish bent folk music. But for the life of me, all of the tunes played in this tale are just f*cking amazing. Honestly. I never thought that I would be so moved by melodies that are so heartfelt and earnest in execution. (2) If you like your romances bold and flamboyant, with a splattering of superficial fodder tossed about willy-nilly, then please, do not watch this film. It has a really wholesome and natural approach where the central narrative is concerned. And from my own point of view, it's all the better for it. Case closed. (3) The only thing I can find at fault with this flick is that there are too many montage sequences which break up the overall plot. Listen. Don't get me wrong. This isn't a bad-bad thing at all. It's just something worth mentioning. (4) Glen and Markéta are just magical in this movie, because they don't act, they behave. Behave like two normal people who are presented with a situation that is not you're usual substandard Hollywood play it by numbers scenario. Glen has that Irish savvy that'll make any woman swoon at his feet. Whilst Markéta just comes across like many of the Baltic people I've known in my time -- blunt, earnest, and very-very down to Earth. (5) I did like the fact that Glen and Markéta's character were never given names. It's as though this facet represents them being your average Joe on the street, and not your atypical movie player of the more conventional variety. (6) The ending of this movie is perfectly sublime for this type of independent film, as it's not too morose, yet it's not too uplifting at the same time. Smashing. Just smashing. Hey! While I'm in a bullet-point mood, can you guess at what I'm going to do next? Yes. That's correct. It's trivia time. (1) 'Fox Searchlight' first released this $160 thousand dollar production on the 15th of July, 2006, and clawed back $20 million dollars at the box office. (2) Most of this movie was shot on location in and around the Irish county of Dublin. This includes Dublin Airport, Grafton Street, Kiliney, and Saint Stephen's Green. (3) Loosely translated, this project was entitled 'Even in Tom' in Portugal; 'One Time' in Greece; and 'Only Once' in Brazil. (4) The writer / director of this flick, John Carney, stated that this story was partially autobiographical; basing it on a long distance relationship he had with a girl from London. You can actually see the girl in question in the flashback sequence. (5) I kid you not; this entire movie was shot within 17 days. (6) Cillian Murphy was offered and accepted the lead role in this picture, yet pulled out of it for reasons of his own. (6) In the last scene of the Irish musical, 'The Commitments', Glen's character is seen busking on the streets of Dublin. In the opening scene of this one, you'll notice that he's doing exactly the same thing. (7) Bob Dylan loved this musical so much, that he even arranged to have the two main leads, Glen and Markéta, open a part of his 2007 world tour. (8) Not only were Glen and Markéta both musical collaborators before this movie was made, but they also composed and performed all of the original songs for it too. 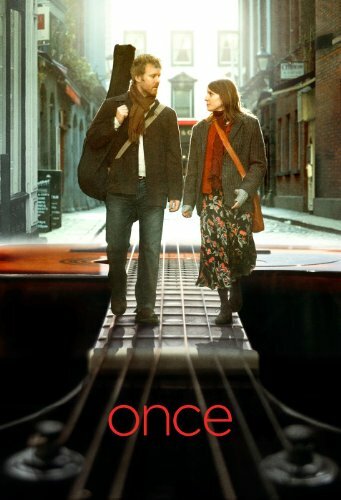 Overall 'Once' is just one magical movie. The music is exquisite. The acting is very natural and wholesome. Plus the general story is one that I've fallen in love with. Don't you agree, you foreign gits? Ha! I take that as a 'Yes'.